Continued from Karen's post about Automata and related to the CoP hangout "Let's Talk Automata" from two weeks ago (you can watch the recorded hangout here on YouTube), I wanted to share some more automata that were created in the Tinkering Studio. Some are in photos, some are in videos. 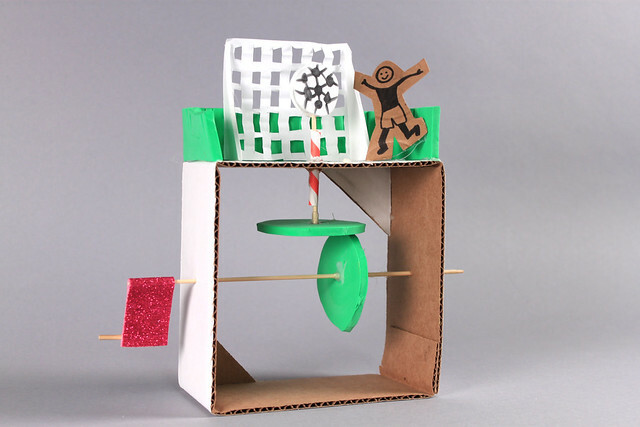 Each mechanism is very simple but the decoration on the top is narrative and tells you a story when the motion starts. They make me laugh each time I crank. These are both made by our volunteer Michael. 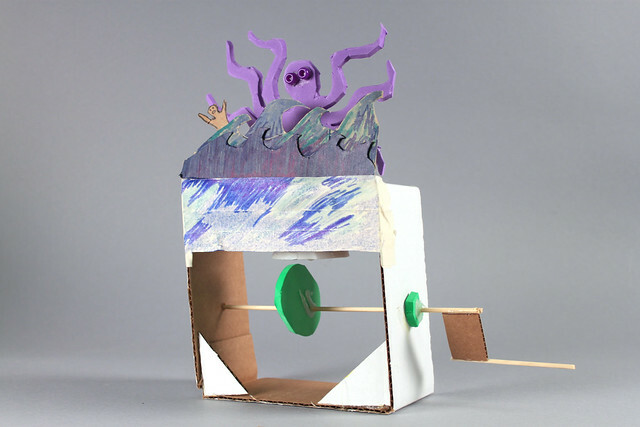 Starting from very simple automata (first we asked him to make simple motion samples for the floor activity), now he has made lots of cool complex automata for the Tinkering Studio. Here are some more automata in motion! Check out Michael's frog and birds in the video below. The wire linkage adds an interesting motion to the automata, and both are using a straw to make sound (especially I like the sound with the birds). Automata fire hydrant from The Tinkering Studio on Vimeo. Automata picking nose from The Tinkering Studio on Vimeo. Automata Michael's frog from The Tinkering Studio on Vimeo. 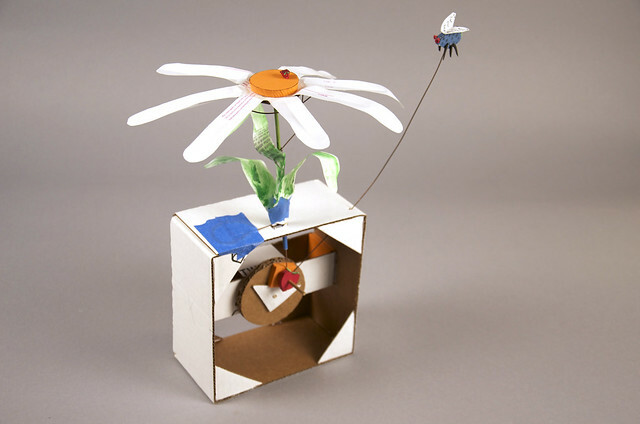 Automata Michael's birds from The Tinkering Studio on Vimeo. 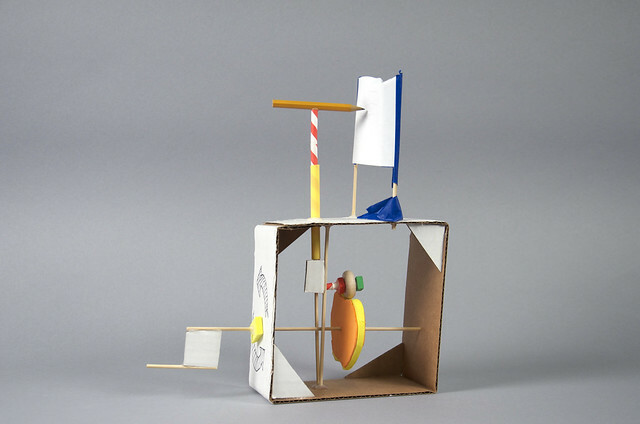 Michael's dog from The Tinkering Studio on Vimeo. 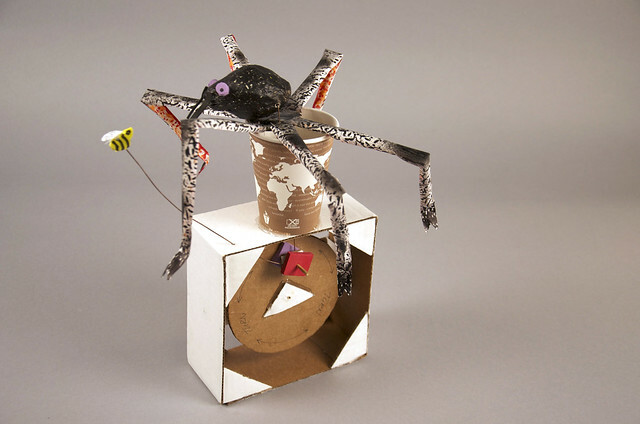 Michael's enthusiasm for automata took the cardboard automata to the next level! 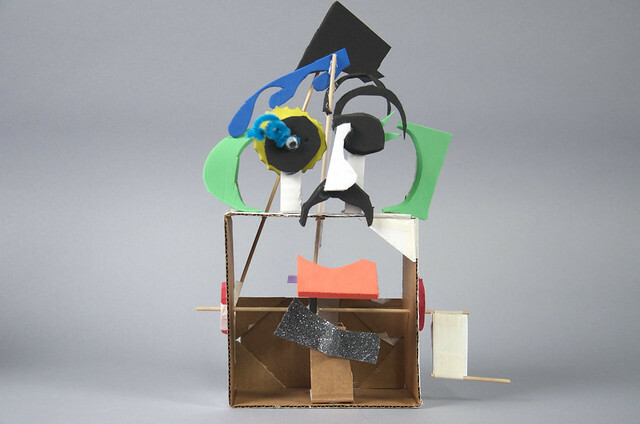 Inspired by Keith Newstead's life size theater dog, Michael created this mechanical dog and it works really well. Nicole's alligator from The Tinkering Studio on Vimeo. And here is one more! 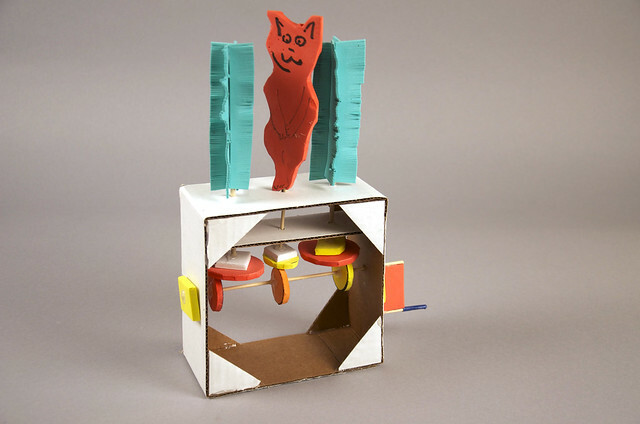 The Michael's dog inspired Nicole to make this pull toy for her nephew. Nice to see the inspiration goes around! wow those automatas are amazing!!! Thanks ~ glad you like them! 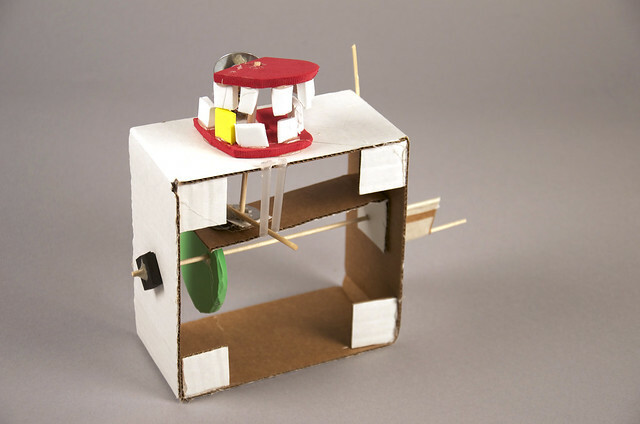 We're always amazed at the ideas people come up with for their automata.